On February 25, these students visited us to inspect analysis sites in the research organization. They toured the Restoration Studio of the Center for Conservation Science and Restoration Techniques on the third floor and the Center’s Analytical Science Section on the fourth floor. Those in charge of each facility provided explanations and answered questions. The Department of Intangible Cultural Heritage has been holding meetings on activities to safeguard intangible cultural heritage in Asia since last year. This year, on February 19, we invited Dr. Kim Sam Ki of the Intangible Cultural Heritage Division of the Cultural Heritage Administration, Korea. He gave a lecture on the system of and activities for safeguarding intangible cultural heritage in Korea and discussions were also held with relevant persons outside our Institute. In particular, Dr. Kim introduced in detail the processes of designating intangible cultural heritage and holders of intangible cultural heritage. He also spoke about the system for training successors that is obligatory for holders of intangible cultural heritage. The participants actively voiced their opinions and raised questions. Both Japan and South Korea have led the systematization of safeguarding intangible cultural heritage, and this meeting clearly showed the differences and similarities between the two nations. We learned about the validity of referring to the activities of both countries in dealing with the problems that each country has. We gave instruction and advice and participated in a survey to conserve and restore the Mezurashizuka Tomb, a special historical site. 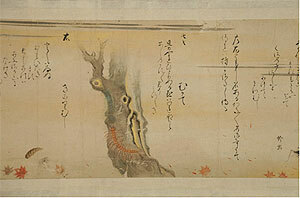 The Mezurashizuka Tomb is one of the decorated tombs in which patterns were drawn using red and gray pigments. In time, the tomb mound was lost, but the stones used for the chamber became exposed, with the surroundings protected by walls. A large amount of mold had formed on the surfaces of stones in these walls, and it was found that the pigments were unclear. Our preliminary survey for full-scale restoration work consisted of sampling the mold and using ultraviolet rays and brushes to try to remove it. We also measured the temperature on the surface of the stones and the amount of moisture using a near-infrared moisture meter, and examined the effects of disposal on the stones. 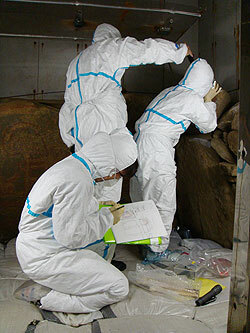 As a result of this investigation, full-scale restoration work will be carried out in the next year. 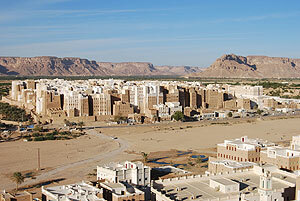 Both emergency treatment and middle and long-term conservation measures, including the environmental control within the walls, have been requested. 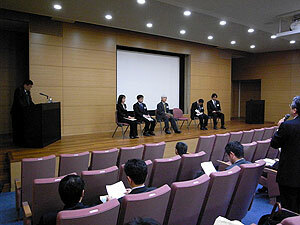 The above seminar was hosted by the Museum Conservation Science Seminar, Mie Museum Association and National Research Institute for Cultural Properties, Tokyo in Mie Prefecture on February 13 and 14. 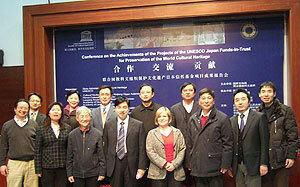 Seminar participants included people who had curator training and museum curators in the prefecture. Seminar activities included information exchange and lectures on practical conservation activities in cultural property-related facilities. 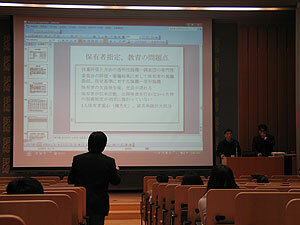 On the first day, a debriefing was conducted in the Mie Prefectural Art Museum (60 participants). First, visiting researcher Mr. Miura Sadatoshi gave a keynote lecture entitled “The Past and Future of Creating a Conservation Environment”. Then the four museum curators in Mie Prefecture and researcher Mr. Inuzuka Masahide reported on facility environment control, upgrading, and maintenance; this report was met with active questions and answers. On the second day, we visited Kogakkan University, Sagawa Memorial Shinto Museum, Jingu Chokokan Museum, Jingu Agriculture Museum, and Jingu Art Museum. The participants compared the conservation environments of each museum, and took part in information exchange and discussions from various angles. This seminar provides alumni society-style atmosphere in which long-time museum curators renew old friendships and others have the opportunity to interact with each other. Another great feature is that curators see the field sites of cultural property conservation in local districts with which they usually do not have contact, and compare these with conservation in their own museums. We deeply express our thanks to the many people who cooperated with the implementation of this seminar. The Wenchuan earthquake in Sichuan, China last May devastated many cultural properties, and specialists from all over China are exerting themselves in restoring them. 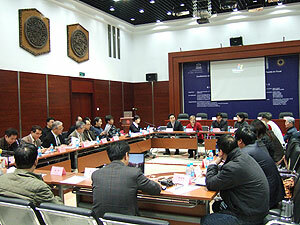 A workshop jointly hosted by the Agency for Cultural Affairs of Japan and State Administration of Cultural Heritage of China was held in Chengdu city, Sichuan province from February 9 to 12 to support restoration activities and to contribute to future disaster prevention policy planning. The Japan Center for International Cooperation in Conservation was entrusted with the work of conducting practical businesses, such as planning programs, selecting lecturers and compiling a textbook, from the Agency for Cultural Affairs. Sixteen people, including four members of the Japan Center for International Cooperation in Conservation, were dispatched from Japan and over 70 Chinese took part in the workshop. 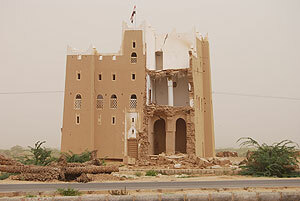 Lectures were given and discussions were held on measures related to earthquake, preventive measures as well as countermeasures, for museums and other buildings. Japanese speakers introduced anti-earthquake measures to protect cultural properties as well as quake-resistant engineering that has developed in Japan since the Hanshin-Awaji earthquake. 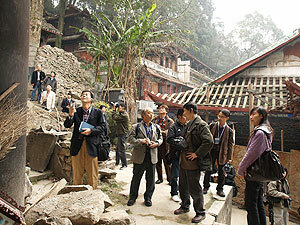 Reports were presented by Chinese participants on the situation of cultural properties devastated by the Wenchuan earthquake and actions taken afterwards. Participants also visited stricken sites in Dujiangyan where restoration is being conducted and exchanged opinions on issues that both countries face as well as future countermeasures. 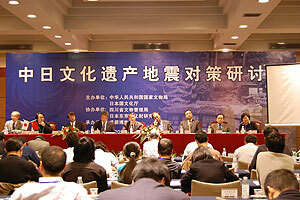 This workshop, in which representatives of private enterprises and museums as well as those of 3 provinces, 4 cities and 20 organizations related to the restoration of cultural properties participated, greatly aided in promoting exchange among Chinese professionals in this field as well as between specialists in Japan and China. Studies into specific designs for restoration and guidelines for protective measures against earthquakes are ongoing in China, but there remain many issues, such as a shortage of structural engineers, that make us recognize once again the necessity of supporting these activities. Additionally, we felt the need to make every effort to ensure that Japanese ideas of conserving cultural properties are properly understood.